4 keys to get to know Ibiza at its most authentic this summer of 2018. A new season is about to start in Ibiza and at Can Planells we are ready to open our doors and enjoy an unforgettable summer together. Year after year, Ibiza catches everyone’s attention. Great night time activity, dreamy coves, beaches with turquoise waters, and views of the Mediterranean that take your breath away. We invite you to discover the real Ibiza from Can Planells, the Ibiza of traditions and culture that we like so much. That’s why our recommendations for the summer of 2018 are a return to roots and rediscovering the island at its most authentic. Take note of these recommendations to make your visit to the island unforgettable. The most typical dish to eat: Bullit de Peix. 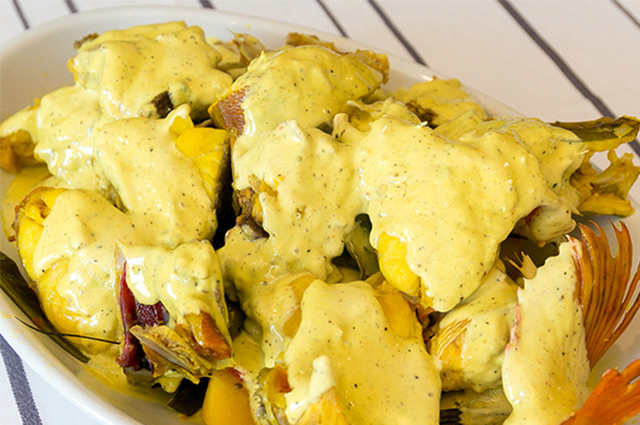 Bullit de Peix is ​​one of the most representative seafood dishes of our cuisine. It is a modern version of Peix Guisat (a typical dish that fishermen prepared in their boat on fishing days.) To taste the real Bullit de Peix, we recommend several places in the north of the island where, fortunately, they prepare it exquisitely. Point: Port Balansat Restaurant in Port de Sant Miquel, more than 30 years of preparing rice and fish in front of the sea; Can Salvadó in Pou des Lleó, traditional recipes and marine atmosphere; Can Gat, rice and fish of the best quality in Cala Sant Vicent, and finally the mythical Restaurant 2000 in Benirrás. A walk through history, defence towers. 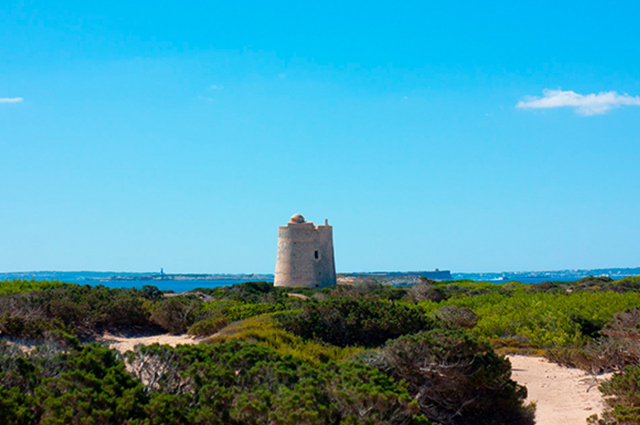 The defence towers of the Pitiuso coastline began to be built in the 18th century in order to monitor the possible occurrences of Saracen pirate shipwrecks, who looted salt, fish and crops from the coastal towns. To alert the sighting of one of these ships, the atalayeros or lookouts used a code of smoke signals from the towers or bonfires if it was at night. When the coastal residents spotted these fires or signals, they took refuge with their most precious assets in the forests or fortified churches. Say goodbye to the day with the colours of a good sunset. If you are visiting the island, there is one thing you definitely shouldn’t miss: enjoy one of its incredible sunsets, a spectacle of nature that always gets you to break out in applause after the farewell of the sun king. This custom has expanded a lot on the island which is why it is very common to find the mythical places where you can see the sunset to the flag. That’s why we recommended 4 alternative sunsets a few months ago to escape from the conventional and discover an atypical sunset. 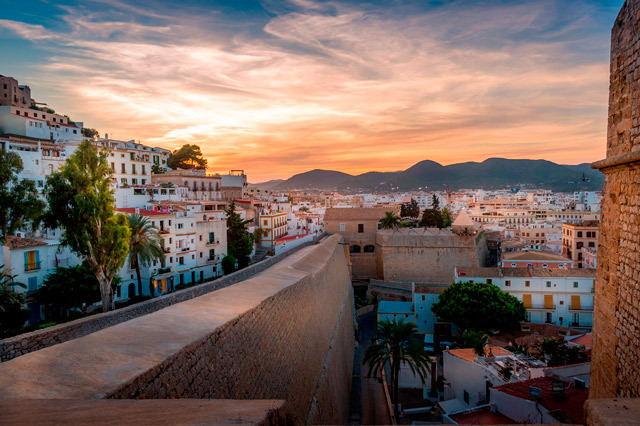 Without a doubt, our favourite is the one you can experience from Dalt Vila, declared a World Heritage site by UNESCO in 1999. A sunset in this magical and medieval setting will be the highlight of your day on this worthwhile island. Beaches to relax on, the favourites of the islanders. The island can also offer relaxation and peace away from the clubs and partying. 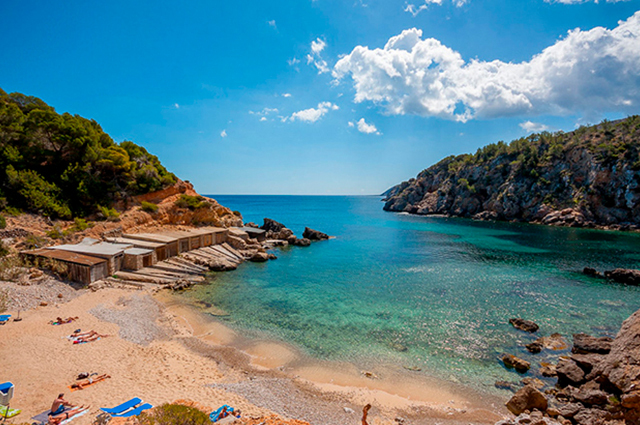 If you are one of those people who are looking for that haven of peace in Ibiza where you forget your obligations, these 4 little beaches where you can find true relaxation are a must. They are very close to Agroturismo Can Planells and you will love spending hours in the sandbanks: Cala d’en Serra, Cala Xarraca, Cala Olivera y Playa S’Estanyol. These are our 4 keys to enjoy the most real and authentic Ibiza this summer of 2018, moving away from the ordinary and approaching the most authentic face of the island. Can Planells is an agrotourism area with history and the soul of Ibiza. 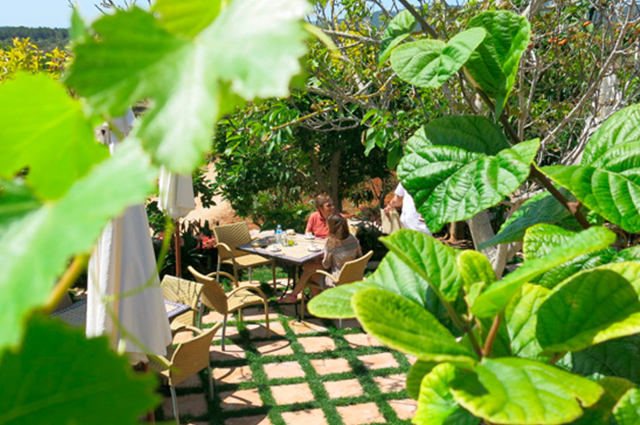 It is the place for you if you are looking for an Ibiza more rural, a space of respect and love for the land, use of local product in your cuisine, typical architecture in its walls, and calm and tranquillity for your holiday. Remember that you can already book your 2018 getaway through our website www.canplanells.co.uk See you there!